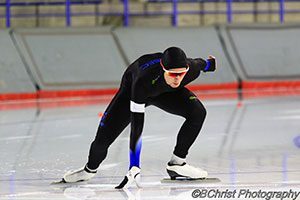 Guillaume Labbé returned from Calgary where he spent 3 weeks after which he participated in the Canadian Long Track Championships. He came back somewhat disappointed with his performances in the first major competition of the season. It was to recover a little and try to make the necessary adjustments that he returned to Quebec City. The absence of an ice ring in Quebec is felt. According to him, this season will be one of adaptation. He will have to find training methods that will work without a daily access to long track ring. His next challenge: Canada Cup 1 in Fort St. John, BC, December 7-8-9, 2018. He will have a very limited time arriving a few days before the competition to find “his feelings on the ice”. Given the circumstances, his key word is… ADAPTATION !! !